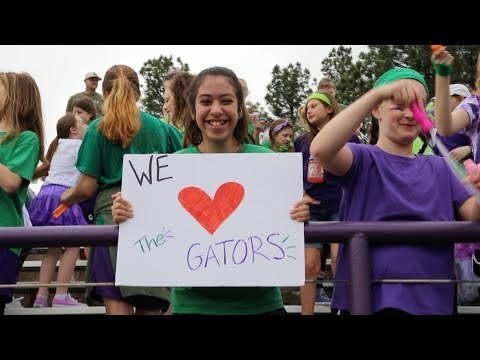 CAC boasts an active and family-like student body and a diverse offering of activities to choose from at both the elementary and secondary level. At the core of each of our student organizations is a strong spiritual life that molds the school’s activities and inspires our students to bond together and to perform to their greatest ability for the glory of God. From Mustang Missions, our student outreach organization, to our fine arts department, where students have the opportunity to develop and hone their skills in the areas of band, choir, drama and visual arts, we strive to cultivate a well-rounded community by providing a range of opportunities for self-expression and self-fulfillment. In addition to on-campus offerings, students have the opportunity each year to see the world through a new lens by participating in CAC’s Global Studies Program. We believe each student organization at CAC helps develop character and fortifies a lasting Christian community among our students, parents and faculty alike. We hope you will take advantage of these opportunities and join us in participating in this year’s activities. At the core of CAC’s educational programs and student organizations is a strong spiritual life that inspires our students to succeed for the glory of God. From morning prayer, to daily Bible classes and chapel, each day at CAC is infused with opportunities to draw closer to the Lord. Click to watch the video below and learn how CAC students are growing spiritually at each of CAC’s campuses.